For most families, it remains the ultimate dilemma: how to balance a happy, healthy family life with the demands and rewards of work. When Gaby Hinsliff realised that she couldn't continue to work 60-hour weeks, spend time with her child and expect to stay happily married, there was only one solution. She quit, and decided to start again from scratch. 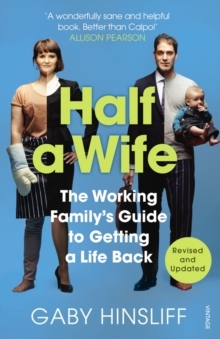 Half a Wife is her guide for guilt-torn parents who are teetering on the edge.